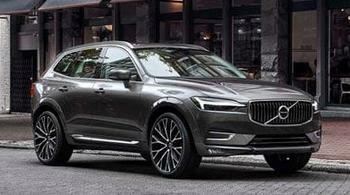 Volvo Car USA is recalling 2,297 model year 2018-2019 XC60s and S90s. The driver and passenger front seat rail rear flange nuts may not have been installed during assembly. If the nuts are missing the front seat structure and position may be affected in the event of a crash, increasing the risk of injury. Volvo will notify owners, and dealers will inspect the front seat rails for missing flange nuts, installing them as necessary free of charge. The recall is expected to begin May 17, 2019. Owners may contact Volvo customer service at 1-800-458-1552. Volvo's number for this recall is R19931.